For years I’ve held the mindset that nature is cruel and needlessly puts us into combat with one another in a struggle over resources while only the fittest survive. Upon learning some new things I’ve found out there’s more to learn about evolution. Just recently I learned how life has evolved on various islands and was astonished at what I found. Islands tend to be isolated communities, and unless they’re an original outgrowth of the Pangea super-continent, life on them didn’t evolve down the same “trunk” so to speak. Some are formed from say volcanoes, magma slowly rising from the ocean floor until we have an island. Eventually cocounuts and other seeds float to the island, and other seeds blow through the air landing on the soil. From there it becomes wooded paradise out in the middle of nowhere. Insects can travel the wind currents of the atmosphere and get blown there, then they begin to proliferate. And birds find the island by accident as they make their migratory flights to and fro, and some make their home there. Now there’s some interesting things to learn when it comes to evolution of species on islands. Since none of their predators can make it to the island, the birds make their home there and begin to develop along their own evolutionary path. The result is quite fascinating. First off, they lose their ability to fly because they can just as easily live walking around the floor, eating seeds and insects. Next they lose their fear of anything, because they’re never hunted. They also lose their violent tendencies. When mankind set sail and found these islands he was amazed at these strange species which had no fear and didn’t fight back. 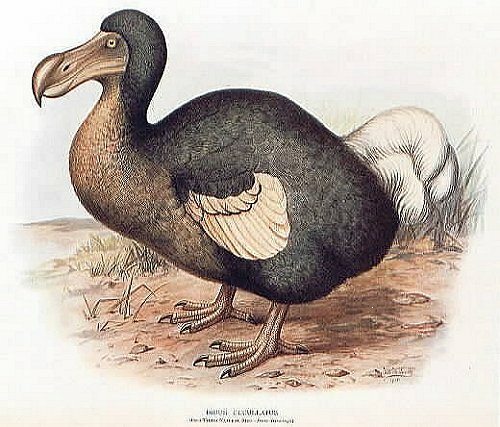 Species such as the Dodo bird were walking around, which didn’t have a violent instinct in their body. You could walk right up to them and club them in the head and they wouldn’t run. Of course, as expected, mankind killed off these species and made them extinct. “What dumb animals. We can just run up to them and club them in the head!” So birds such as the Dodo are no more. Even so, there’s some interesting things to think about here. Does evolution naturally produce cruel and violent species? That doesn’t seem to be the case. It seems it can go both ways; it simply favors survival. 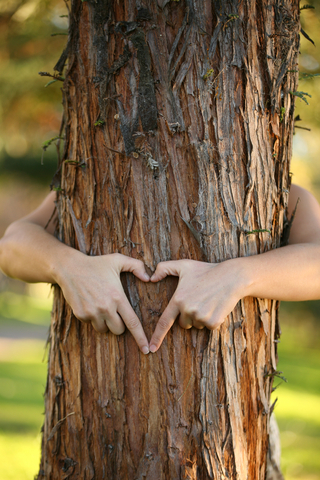 If the environment no longer demands fear and violence in order to survive, those instincts disappear slowly over time. Violence and fear have served our own species, and that of other primates, for a long time. Our ancestors had to be territorial to defend their food sources, such as fruit trees. There was only so much to go around. Fear kept them alive and made them suspicious of both newcomers and foreign species, who may potentially be a danger to them (and often were). Though those instincts used to keep us alive, in modern civilization they’re, for the most part, evolutionary baggage. Even worse, the people in power have learned how these instincts operate, and through propaganda utilize them for their own selfish ends. Our cultural evolution has progressed much more quickly than our biological evolution, and sadly a lot of our scientific knowledge is being used against us, not for us. It’s unfortunate, but those old instincts seem to drag us back into barbarism and savagery time and time again. I think there’s countless lessons like this to be discovered through careful analysis and study of various species in their natural habitat. Unfortunately mankind has pretty much taken over the planet and has no regard for other species and their needs. We kill them off, just like the Dodo, and have little regrets when doing so. When people have this little respect for our evolutionary past, and other life on the planet, what hope is there for us as a species? Sadly, this mindset is held by the vast majority of people out there. Even our closest evolutionary cousins, chimpanzees and gorillas, struggle to survive and have to be protected artificially in conservation projects. Just oblivious to the hundreds of millions of years it took to create this biodiversity or how this planet works. The more you learn the more all this stuff is so obvious. When I study chimpanzees, it’s beyond doubt that they’re just like us, minus a little intelligence and anatomical differences. They have complex social relationships similar to our own. They make use of tools not only when acquiring food, but also during various social rituals they perform. I watched one chimpanzee picking up nuts off the forest floor. He picked up a rock and carried it to a root sticking out of the ground. He laid the nuts down and then smashed them one by one using the rock and ate the nut within. He had ears and facial features just like a human. He smiled. He had his little kid with him. Those who carefully study their species tell us all sorts of things. They’re status conscious, can be insecure, sometimes manipulative and deceptive, and are capable of very complex planning. They can learn language and numbers. They even show empathy! They are altruistic to members within their own tribes, though show indifference to outsiders, just like we do. They mourn when loved ones die. There’s romantic love between males and females. They appreciate natural beauty and will sit and stare at the sunset. They show curiosity and respect for wildlife if it’s not a threat to them. Even their children pretend play, grabbing a stick and rocking it back and forth like a baby. Most of their communication is of the sort we would call body language. According to body language books I’ve read, the vast majority of our communication is body language as well. We speak words, but the vast majority of the meaning comes from emotional intonation and our bodily gestures as we’re speaking. That’s also why it’s so easy to misunderstand someone through email, text messages, and chat, because most of the meaning and subtleties are not there. Chimpanzees laugh at one another. They wrestle, play tag, and tickle one another. We’re also ticklish in the areas as they are – the armpits and the belly. I’ve studied a lot of neuroscience over the past year, and comparing our brains to theirs, versus say that of a sea otter or an elephant, there’s no doubt – we’re near identical. And before I leave the concepts of apes and chimps, I’ll share one last clip of David Attenborough’s “The Life Of Mammals”. I’ve mentioned him many times in other posts, but you can see what his programs are like. It’s hard to be kind to such people. The same scientific mindset, which they obviously lack, is what designed those rockets. Those scientists who build that sort of thing, and I guess these days I consider myself one of those scientists too, are the same people telling us to save the planet. Go figure! So go study some books, learn a bit more about the origins of civilization, biology, anthropology, and all of that, and we’ll have a discussion later. If we dropped that guy off in the wild, he’d be grabbing sticks and cracking open nuts, just like those chimps. He’d be scavenging for fruits, and hunting smell prey for food. You know, outside of our scientific advances, and civilization, we’d be just like that, wouldn’t we? In fact, they survive out there, yet most of us probably wouldn’t. There’s so much we still have to learn about all these species around us, yet within the next hundred years most all those habitats will be destroyed. Not many are left even today. Nearly half of all species will become extinct, and a lot of others will be confined to such unnatural habitats, the study of them will be far less fruitful. How sad we’re even talking like that, but he’s right. I better stop. I had originally typed a up a huge rant about humanity in this post, but I removed it. I don’t want to depress all of you guys. When I do such things I just keep going and going, and then we’ll all have a terrible day. 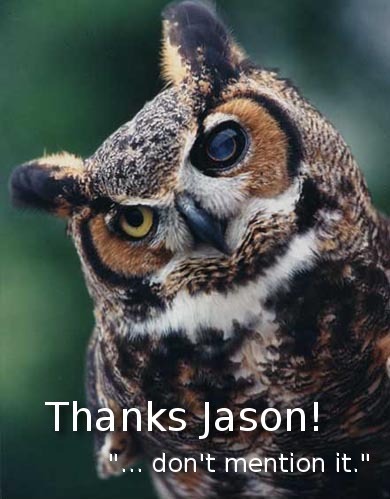 Nice post Jason. I agree with you. Haha, quit being such a Nature Boy! Please do make t-shirts…it would be a nice laugh. Quite off topic, but what do you think about Nuclear Energy? Hey Everett. I’m an advocate of nuclear energy and think we should stop burning fossil fuels. I’d like to see electric cars, and I think the vast majority of our electricity should be generated by nuclear power. I think the dangers are far less than they’re made out to be. Physicists and engineers all the time are saying that nuclear power is very safe. As for the radioactive waste, from what I hear we have tons of storage for it and it’s not a problem. And I think before too long scientists will devise ways to reuse the waste and remove all its harmful properties. I think the more nuclear power is used, and the more money we sink into research, the better off we’ll be. But fossil fuels have to go. But our government is highly subsidizing big oil and there’s a lot of political clout there. That’s really what I think’s holding nuclear back. France now generates almost 80% of its power from nuclear. We need to move in that same direction. Also nuclear power removes our dependence on foreign oil AND we don’t have to drill. It wins on all counts.